Packaged in a plain white paper sleeve. 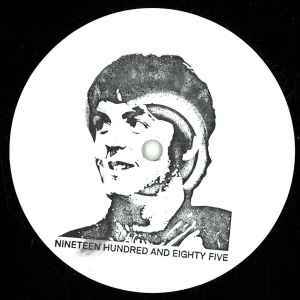 Mysterious edits of Paul McCartney and his post-Beatles band Wings classic 'Nineteen Hundred And Eighty Five’. Limited to 300 copies worldwide. No tracklisting/credits appear on the release. any link for hearing exactly this remix and this club mix? Can't believe the price of this. The 7" version is available on Phonica's website for £7.99, grab it while you can! Listen to it on the Phonica Records website. It's interesting but it isn't $200+ interesting. My copy arrived yesterday and im very pleased with it! I bought it, listened to both sides and I'm now selling it. It's not worth the money it's going for on eBay and here but if the demand is there, what are you going to do? looks like a boot, tastes like one too, but its a breakfast cereal! Timo Maas did this pile of shite apparently ha ha. This record is complete toss, a fine example of the modern day vinyl hype machine. I won't hear anything otherwise, it's complete toss. So i Reply to Both of you! This Record is Special because of the songs , and limited white label. edition 300 copies No REPRESS ,NO other Version, and also because This Record have big Demand from collectors so 300 copies For the World, give to make prices jump. i agree 250€ look Crazy but you have some records solded much more. To get some copies of this Records i spend all day and night to listen music and select from Distributors, so when i find one record can be sold with 200% Profit not 2000% i am Happy to get back something for all this free time spend in finding this GEMS! and you find one like this every few month!